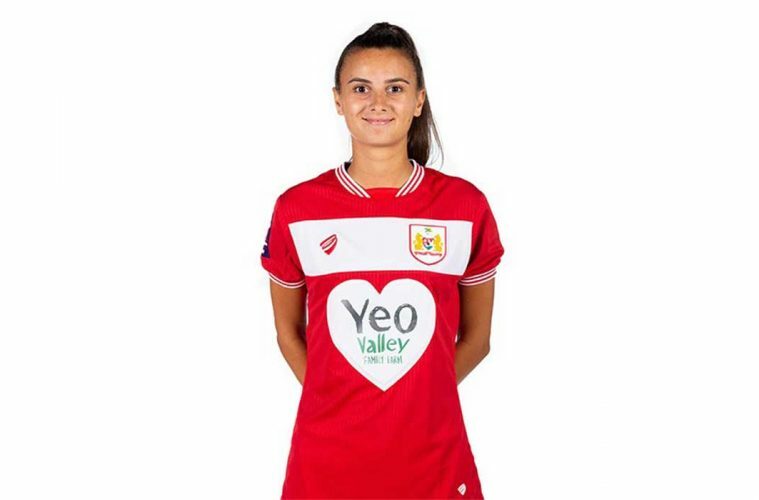 “I’m just looking to get my name back out in football,” said 22-year-old Rosella Ayane who has joined Bristol City on a permanent deal after almost two years away from the FA Women’s Super League. Ayane, formerly of Chelsea, took a short break from the sport to mentally recharge before spending a season playing for Apollon Limassol in Cyprus and has now returned to a new-look Bristol City for the new campaign. “I guess I’ve been abroad and fallen off the bandwagon a little bit so I just want to push on and see where I can get to,” she said. Ayane is one of several young players to arrive at a revolutionized Bristol City over the summer. Teenagers Ella Rutherford and Poppy Pattinson have also joined the club while Australian Tanya Oxtoby replaced the outgoing Willie Kirk during preseason. Born in Reading, Ayane came through the Chelsea Center of Excellence and made her first team debut in 2013. The forward scored four in one game in a cup match against London Bees and was also a regular for the England youth teams. But as Chelsea started to become a dominant force within women’s football, Ayane’s first team chances came harder and harder to come by. Three loan spells to Millwall, Bristol City, and Everton, respectively, eventually saw her cut ties with Chelsea completely at the end of 2016. And Ayane admits she struggled to keep up with the constant changes in her football life while still a teenager. But halfway through the campaign Ayane’s season took an unexpected turn. Her loan spell at Bristol was ended and she had to move much farther away from home to play the rest of the 2016 season at Everton, a move which had a big effect on her future career move. “Suddenly going to Everton was a big change for me and I was still very young. That was the first time I was really moving away from home and I found that experience very hard. It took me a long time to settle in, a lot came at once which I wasn’t really prepared for and didn’t expect. Despite only making a handful of appearances under Emma Hayes while at Chelsea, Ayane only has positive things to say about her overall time at the Blues. “My days at Chelsea I’ll never forget,” she admitted. “I was young and learning but being around those players I’ve learned things I’ll never get elsewhere. But the constant moving and unsettling nature of Ayane’s career path had taken its toll on a player who was still only 20 by the end of her third loan spell away from Chelsea. With the FA WSL taking a small break aside from a short Spring Series while waiting for the change to a winter season, Ayane took a short break from football to assess her future, a decision she openly admits was a “conscious” decision of her own. “It was a tough time. A lot of people speaking to me now know how much I’ve matured from these situations so as a person I’ve come on a lot. Ayane’s time in Cyprus couldn’t have gone better. She scored in all three of the team’s Champions League qualifiers, including a hat trick in one match, and also scored on her league debut, ending her time in Cyprus with an impressive 19 goals in 19 games. It’s an experience that has undoubtedly changed Ayane for the better and she admits people questioned her attitude toward the game when she was younger, but the tough challenges she’s been through have shaped her for the future challenges ahead. “I feel like I’m 27 with the experiences I’ve had but I’m only 22! It has changed me, I look at things differently now. I’m more independent, I’m not calling my mum every five minutes asking how to cook this or use the dishwasher. Now Ayane is back at Bristol over two years after she left, this time on a permanent basis. Though the people around may have changed, the city hasn’t and Ayane admits it being a club she’d played for previously had a big influence on her decision. While Ayane couldn’t be part of the team, Bristol picked up a superb point against Ayane’s former side Chelsea on Wednesday night, ensuring they’ve made an unbeaten start to the league season after beating Brighton on the opening weekend. Bristol finished toward the bottom of the league last season and despite a good start to the new campaign, Ayane says there are no specific targets the club are aiming toward. It doesn’t get any easier for the team who now face Manchester City away in the league on Sunday afternoon. A 3-0 defeat at home to Nick Cushing’s side last weekend in the Continental Cup wasn’t perfect preparation but Ayane says the team will take encouragement from both their midweek performance against Chelsea and the fact Man City may have one eye on their midweek Champions League tie against Atlético Madrid. Ayane is now back home and clearly enjoying her football again. With big game after big game coming at her, the forward admits that despite all the hard times, she never contemplated walking away completely.